Dr. Shanley, PhD, PT, OCS, is a clinical research scientist for ATI and serves as the Director of Athletic Injury Research, Pre­vention, and Education for the South Carolina Center for Rehabilitation and Reconstruction Sciences. She also serves as faculty at the University of South Carolina in the School of Public Health, Clemson University School of Bioengineering and Rocky Mountain University of Health Professions PhD program. She functions as Senior Faculty in an APTA credentialed sports residency and is a co-founder of the APTA credentialed upper extremity fellowship for ATI and the Kansas City Royals. She has previously and continues to mentor residents, fellows and PhD students. Ellen specializes in the treatment of patients with upper extremity injuries. She serves on the APTA orthopedic sections research committee and provides grant and abstract reviews for the APTA sports section. 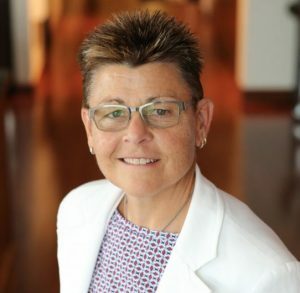 As a mem­ber of the American Society of Shoulder and Elbow Therapists (ASSET), Shanley has served as the Education Chair and is the Societies President-Elect. Dr. Shanley has been awarded the APTA’s excellence in research award and ASSET’s Founders Award.